We really dig Emily's style. She's totally into copper right now and we love what she's creating. Let's meet Emily at Warped Wire Studio. 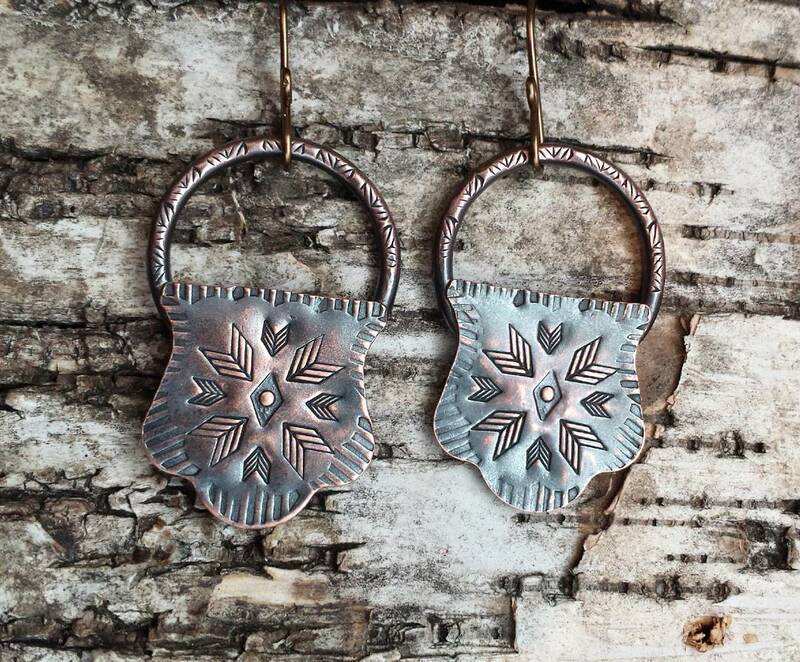 I started making jewelry as a hobby about six years ago. I adored handmade jewelry but many of the pieces I liked were out of my price range. I was one of those folks who said, “I wish I could make that.” Well, when my coworker gave me a gift certificate for Christmas, I decided to take the leap and purchase my first set of jeweler’s tools, wire, inexpensive beads, and a couple of how-to books. Since then, I’ve been working on refining my style, learning new techniques, and incorporating additional materials. I started selling jewelry as a reasonable way to finance my growing hobby. I try to keep my product prices low (considering it’s why I started making jewelry) but fair considering the time and effort it takes to make each piece. I like donating jewelry to local fundraisers and adding bonus pieces in new customer orders. At the moment, I really enjoy working with copper. It’s such an inexpensive medium to work with and there are so many things you can do with it. 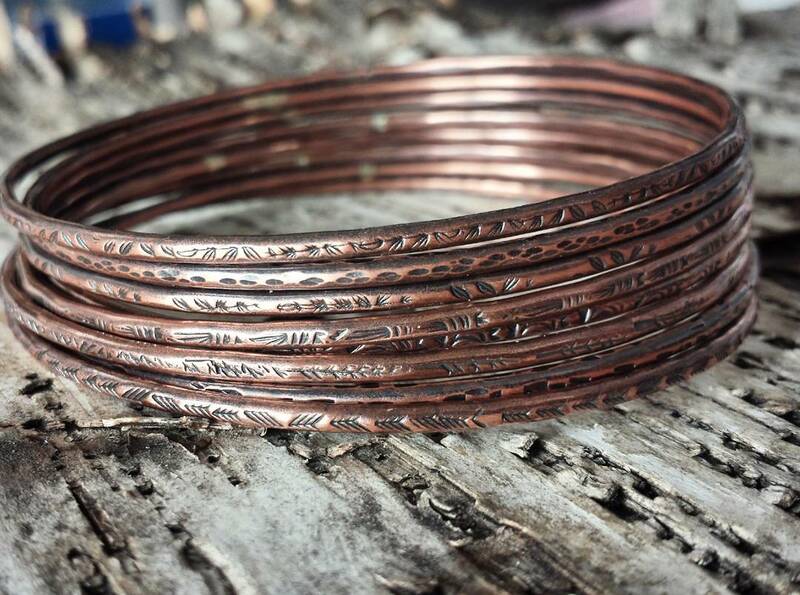 I often emboss copper blanks with a rolling mill, stamp patterns with metal design stamps, and oxidize the components with liver of sulfur. I will, occasionally, use ink patinas to bring out stamped details but I prefer the look of natural patinas. Recently, I learned how to solder thanks in large part to Beaducation’s free online tutorials. 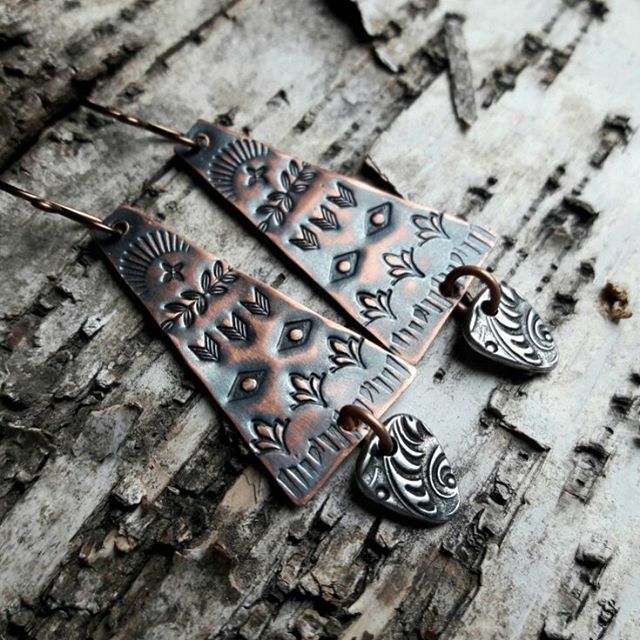 Torch work and soldering adds new dimensions and opportunities to jewelry design. Annealing copper makes stamping much easier especially when using detailed metal stamps. 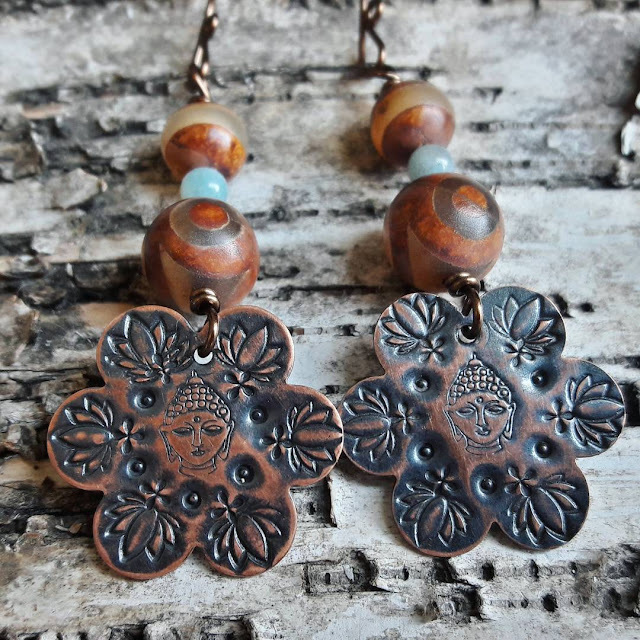 Currently, I love Beaducation’s art deco fan, radiant heart, and Buddha stamps. Incorporating soldered pieces with my stamped blanks has really allowed me to expand my creative horizons. 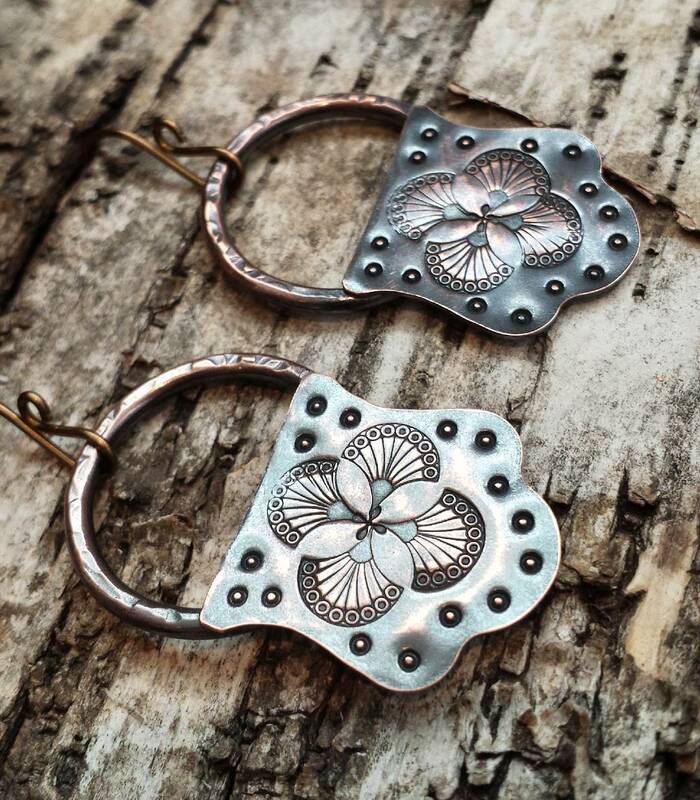 My latest jewelry design adventures include learning how to work with sterling silver. Fortunately, Beaducation has a wealth of free and helpful information for those of us who are either starting a new hobby or furthering our skills. Shop at Warped Wire Studio at Emily's Etsy store and follow her on social. If you would like to be considered as a Featured Maker, please email Angela@Beaducation.com.